Expectation is about right except I would have also expected to see the driver stick his hand out of the window while drifting, 'cause, you know, that's waaay more cool and chicks dig it. It's every 16-yr old boy's dream... usually performed by kids twice that age. 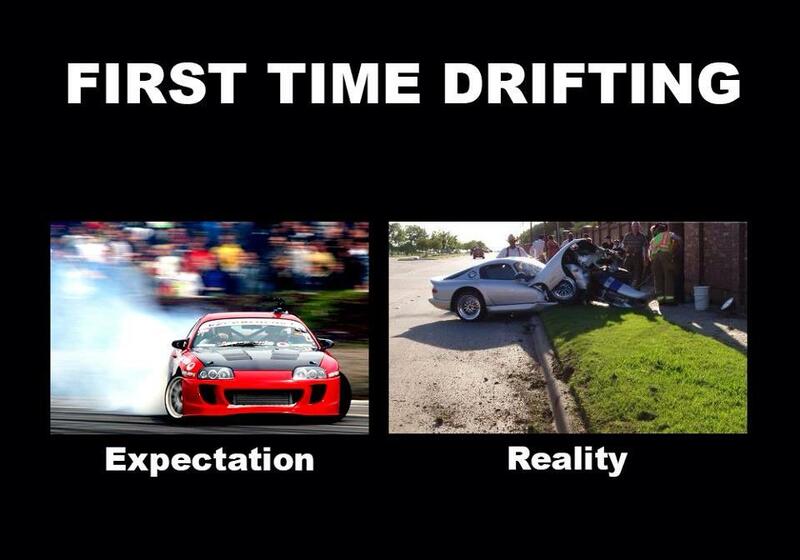 Reality is spot on - that's what you'd get in a high-powered car without driving skills. LMAO, thanks will make a great post! Thanks for sharing!